Our Library is called a Learning Resource Centre (LRC). The LRC Manager is Miss Cadd. The LRC is open from 8:00am-4:00pm Monday to Thursday and 8:00am-3:30pm on a Friday. Students are welcome to use the LRC before school, after school, break time and lunch time. Homework Club is held in the LRC on a Tuesday, Wednesday and Thursday from 3:00pm-3:30pm. The LRC resources are managed with a computerised system called ‘Oliver’. All resource items are identified by a barcoded label and recorded in the library catalogue. Resources available in the LRC are fiction and non-fiction books, including a selection of books for dyslexic and struggling readers and graphic novels. There are magazines and newspapers, educational games and computers. The fiction books are continuously being developed. The books are chosen for the LRC by looking at the current bestsellers and popular choices for children aged 10-18 years. The suggestion box is emptied regularly and the suggested books are ordered. The non-fiction section is also being developed by asking members of staff which topics they will be covering and which books they would find useful for their students to use whilst researching. Again books are ordered based on suggestions from the box. Accelerated Reader is a computer programme that helps manage and monitor independent reading practice. At the beginning of each term students will take a STAR test to find out which level of books are most suited to them. They will then pick a book at this level and read it at their own pace. When finished, they will take a short quiz on the computer - passing the quiz is an indication that they have understood the book. If students achieve 100% in a quiz their name will be put on the 100% board. At the end of each term all the names on the board will be entered into a prize draw. The more times a name is on the board the more chance there is of winning! There are many other chances to win prizes through the Accelerated Reader Programme; this can be done by earning points, reading the most words etc. Students may borrow one book at a time for three weeks. If this is not long enough then the book can be renewed and kept for longer. Each student is responsible for the resources issued to them. If an item is lost or damaged, the borrower will be asked for a contribution towards the cost of replacement. In the LRC there is a ‘Comments/Suggestion Box’. If students would like to make any suggestions then they can be added to the box, this may be to request a book that is not currently stocked or make a suggestion regarding resources that they might like to see in the LRC. Student Librarians play a very important part in the day to day running of the LRC. 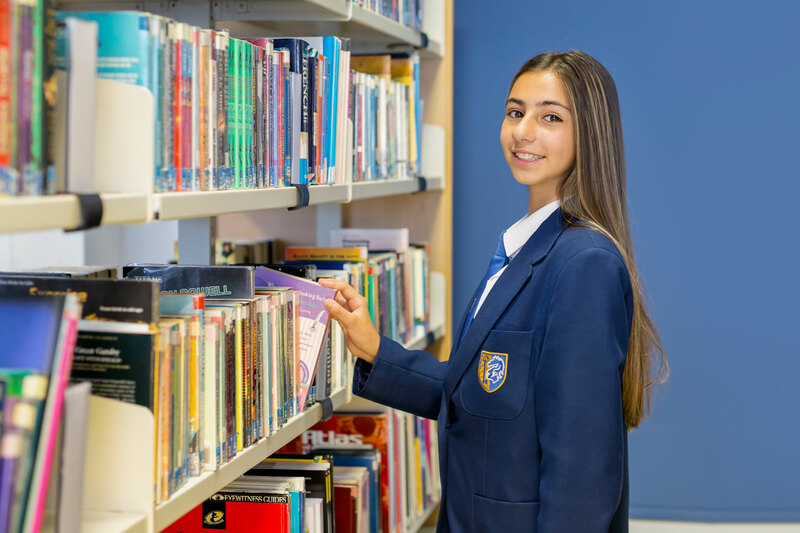 There are many jobs to do on a daily basis in the LRC including: checking the books are on the shelves in the correct order, putting books away, maintaining the areas, updating the computer system and various other duties. Students are welcome to volunteer for these jobs and become a ‘Student Librarian’, they are rewarded for this for ‘being a good ambassador in the community’.